I am back after a week's hiatus! I was working six days last week and I was and still am absolutely shattered. I didn't have time to think..let alone blog. I hope you can all understand. Things have calmed down now, however, and I am back to a normal routine. I have a few good ones of the list today. As always let me know what you are reading in the comments! I LOVED Wonderwoman:Warbringer. As I had never seen or read anything about Wonder Woman before I did go in a bit skeptical. However, I was blown away! It had action, it had suspense, it kept me hooked. It has certainly made me want to read more of Leigh Bardugo and also research into Wonder Woman more. A full review will be up in the next few days. I'm currently reading two books. I don't usually read two books at the same time but I wanted to try it. I have been waiting so long for Turtles all the Way Down and my excitement to read it has reached it's peak. I am only a few chapters in but it seems like it's going to be pretty good. You can tell that it's going to be a typical John Green novel. Kiss Kiss is the book the adult book club I go to are reading for the meeting on 23rd. It's a collection of short stories and lets just say from what I have read so far, they are all pretty disturbing. Perfect for this time of year. 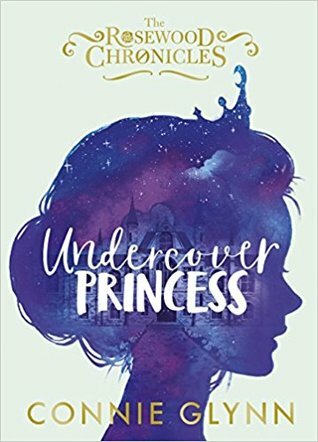 Undercover Princess is up next. I received this as an E-ARC and as the release date is coming up I need to read/review ASAP. I have a feeling I'm gonna like this one. It seems so magical and I do love a bit of magic in my life. Glad to hear Wonder woman: Warbringer was good, I was wondering about it. Reviews seem to be good. And the new John Green I may have to get to.